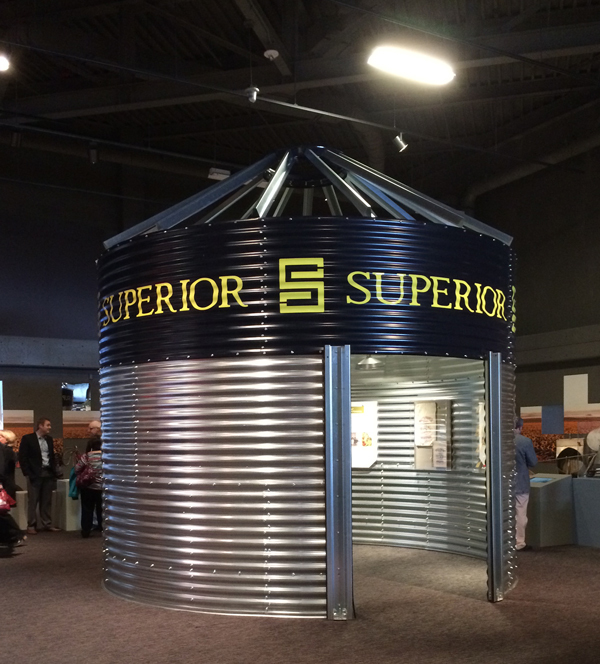 Superior Manufacturing has donated a grain bin for a new exhibit at the North Dakota Heritage Center & State Museum in Bismarck. The bin will be a part of the new 19,000-square-foot Inspiration Gallery. The gallery is part of a larger, $52-million expansion to the Heritage Center. The 2009 North Dakota legislature appropriated $40 million for the expansion, and the non-profit State Historical Society of North Dakota Foundation raised another $12 million. In total, the renovation added 97,000 square feet to the Heritage Center, including three permanent galleries and space for visitor services, public and educational programming, collection storage, labs and office space. 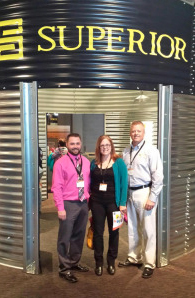 The 13-foot-diameter bin will be a permanent fixture in the Inspiration Gallery, which covers the past 150 years. Displays inside the bin will feature photos and information about the state’s agricultural history, as well as examples of some of the state’s leading agricultural products, like wheat and canola. “This is an important building for North Dakota that really shows who we are, who we were and who we’re going to be,” Lembke said.